Marketing is both an art and a science; you cannot rely on creative juices alone to create your next campaign. That’s why it’s important that you also have the right data to base your decisions on. In digital marketing, the platform of choice to collect that data is Google Analytics. However, creating an account on the right platform is just the start. You still have to ensure that it’s set up properly to collect accurate data. Here’s why. To put it simply, inaccurate data can lead you to faulty conclusions. For example, the wrong data may convince you to cancel an ongoing campaign that may be actually working. Or you may change your strategy, only to find out later on that it was the right one all along. Think of it like getting a laboratory test to find out what your illness is. If the test results are wrong, the doctor who sees those results may end up prescribing the wrong medication. And that medication will either be ineffective or make things even worse. That’s why getting the correct data is important. Whether you need the data to help you create the right content or to evaluate the performance of a product page, you’ll want it to be as accurate as possible. Accurate data can only be collected if Google Analytics is set up properly, And in the past, it was simply a matter of copy-pasting the Google Analytics tracking code in the HTML of each website. But as websites grew and new platforms became available, there are now other ways to help you add the code quickly and easily. The first option is by using the Google Tag Manager, which is maintained by Google themselves. Other than helping you add the code itself, it also helps you check if it’s implemented correctly. The Tag Manager can be also used to add the codes from Google’s other products, such as AdWords. However, if you use a platform such as WordPress, you can use plugins such as Google Analytics by Yoast. This plugin is made by the same developer as Yoast SEO for WordPress, which is one of the top options used by first-timers who are setting up a website. That said, regardless of the method, you’ll only need to install one code on your site. This holds true even if you create different views. However, if you want to implement eCommerce tracking, you’ll need to add another batch of code. 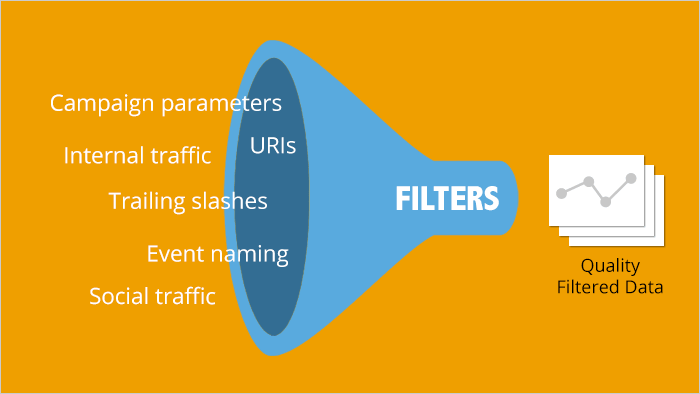 Now that you’ve got your Google Analytics code installed, it’s time to set up the next part: filters. By default, Google Analytics tracks all site sessions and users. This means that if you or one of your employees visits the website to check on it, their session gets mixed in with the sessions made by legitimate customers. To avoid this situation, you can install filters to remove sessions coming from a specific IP address. You can even create a filter from scratch by combining different variables. Of course, the instructions above are good if you just want to collect basic information from Google Analytics. However, you can further refine the data you currently have by making use of advanced segments, which can be found in the view itself. You can even create your own custom advanced segments, or import a pre-made one from the Gallery section, to compare specific data sets. All these available customizations are just some of the things that you can do to further fine-tune the data you’re getting from Google Analytics. With all this data available for free, there’s no excuse to skip getting accurate data to base your digital marketing efforts on. Sheila is a writer. She has written for various sites about marketing, social media and eCommerce. She loves the ocean and takes her sugar with coffee and cream.